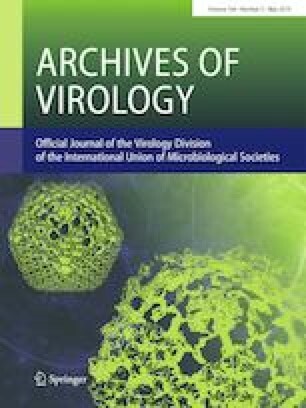 During the surveillance of avian influenza viruses in East Dongting Lake, China (2014–2015), two H11N8 avian influenza viruses were detected in the bean goose (Anser fabalis) and the falcated teal (Anas falcata). Phylogenetic analysis showed that these two novel reassortant H11N8 avian influenza viruses contain genes from poultry and wild birds. This is the first report detecting the H11N8 subtype influenza virus from wild birds in Asia. These findings indicate a dissemination of avian influenza virus along the East Asian-Australian flyway. In addition, the interaction between poultry and wild birds was addressed suggesting the need for intensive surveillance of wild bird populations. Jing Liu and Lichen Zhou contributed equally to this work. The online version of this article ( https://doi.org/10.1007/s00705-019-04168-2) contains supplementary material, which is available to authorized users. We thank Dongting Lake Station for Wetland Ecosystem Research for field sampling assistance. This work was supported by Shanghai Wildlife Epidemic Disease Monitoring Program (G061255), Shanghai Science and Technology Committee Project (2013QLG001).